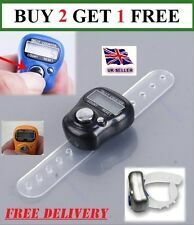 Digital LCD Electronic Finger/Hand Tally Counter. It is universally used as a counter in the public place such as in the dock, the bus station, also in daily use for counting the number. Counter Speed: depend on human's reaction. 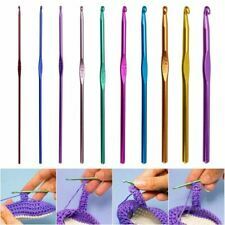 Each Knitting needle is 25cm or 10" long. Needles are made of a durable plastic. Large Knitting Needle Row Counter. Small Knitting Needle Row Counter. 2 x Knitting Needle Row Counters. For use with 5.5mm to 7.5mm needle. For use with 2.0mm to 5.0mm needle approx. Use this set to create pom pom balls all by yourself! Fun and easy pom pom making tool. 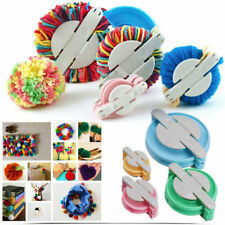 1 x Set of 4 Pom Pom Maker. Four sizes: 38mm, 48mm, 68mm & 88mm. 30 New handmade crochet flowers in white/pink/yellow colour. 100% Acrylic. Small Knitting Needle Row Counter. 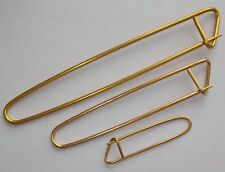 Knitting accessories. You will receive 2 xKnitting Needle Row Counters. For use with 5.5mm to 7.5mm needle. For use with 2.0mm to 5.0mm needle approx. One large and one small. Excellent tool for your knitting loom and setup, make pompoms fun and useful for your projects. 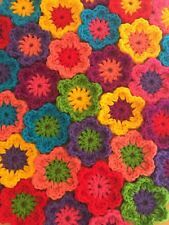 The pom-pom maker set allows you to create different sizes of colourful pompoms / fluff balls for hats, scarves, cloths, decorations, DIY knit work, handcraft and more. 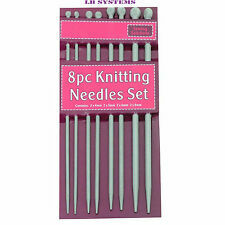 KnitPro Lace Blocking T-Pins. Lace Blocking T-Pins from KnitPro. - Used for pinning our your projects during blocking. - Rust resistant pins. Why not add us to yourfavourites list ! You are buying a Pom Pom Maker Set by Essentials. It makes pom poms in three different sizes. 12PCS: 2.0mm/2.5mm/3.0mm/3.5mm/4.0mm/4.5mm/5.0mm/5.5mm/6.0mm/6.5mm/7.0mm/8.0mm. 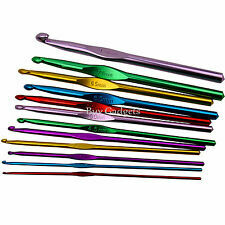 This is for 18 High Quality Multi-Coloured Aluminium Crochet Hooks. Altogether there 12 sizes ranging from 2mm to 8mm.